﻿ Sewing machines - FACC-980AC type | Metripond Plus Kft. 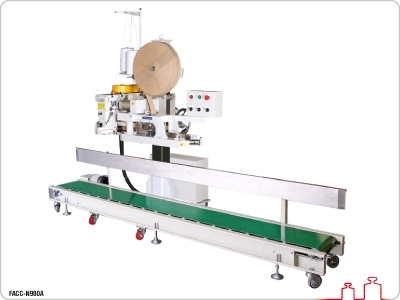 This machine is suitable for stitch-closing bags that are filled and conveyed. By choosing the right sewing head, it can be used to close various bag types: paper, jute, PVC, etc. 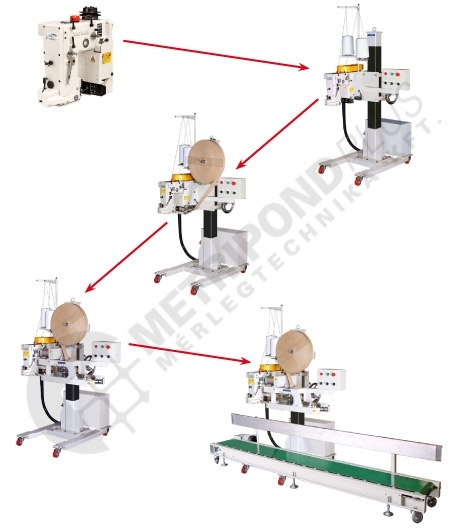 It has a modular construction, which enables the line to be delivered in accordance with special customer requirements, from the most simple machines to a complete compilation. Different units do not change significantly the main technical data of the machine. This installation is recommended as an outstanding and reliable machine, specifically designed for industrial environments, at a competitive price with a full range of complementary services.